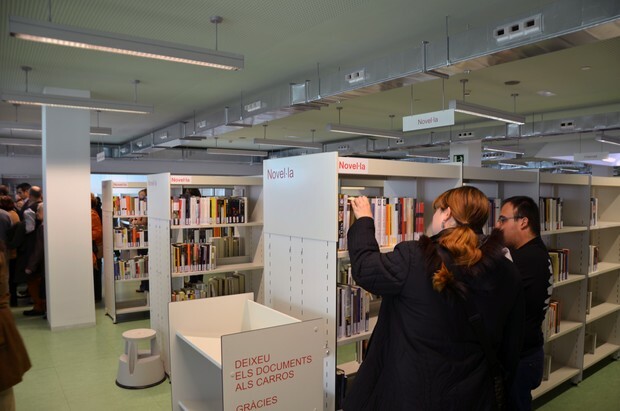 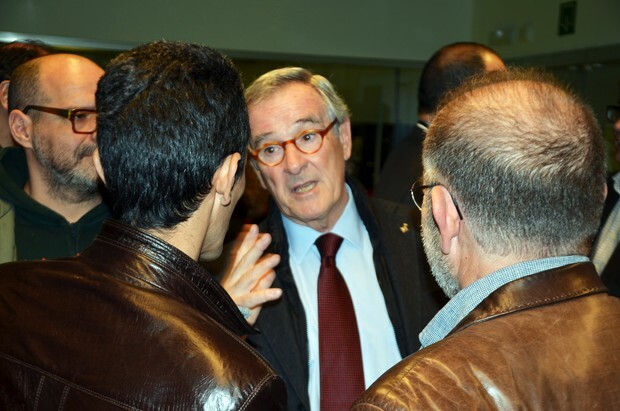 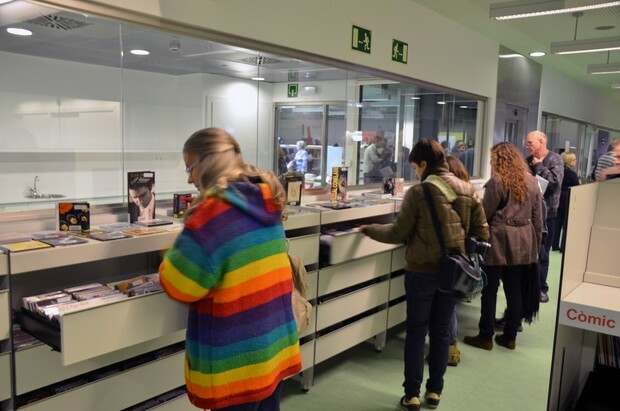 The recently inaugurated El Clot – Josep Benet library is the new cultural equipment for Clot and Parc i la Llacuna del Poblenou neighbourhoods, placed at Sant Martí district in Barcelona. 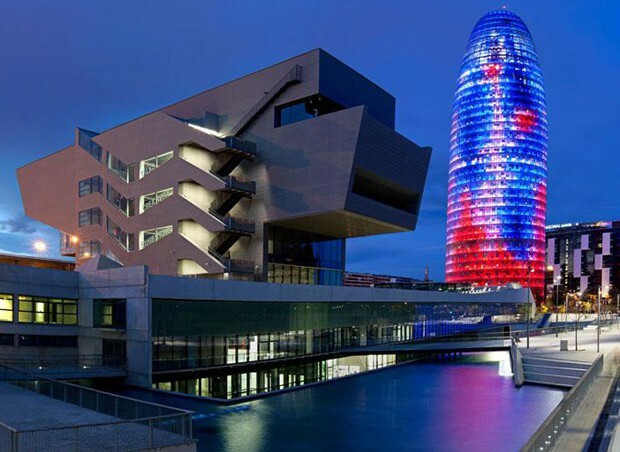 It is placed at DHUB building, a a new highlight on the skyline of Barcelona by MBM Arquitectes (Josep Martorell, Oriol Bohigas, David Mackay, Oriol Capdevila y Francesc Gual). 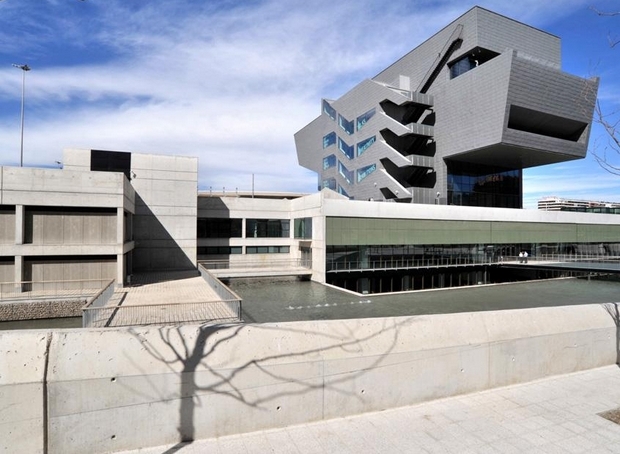 More about DHUB building at the blog of mobles 114. 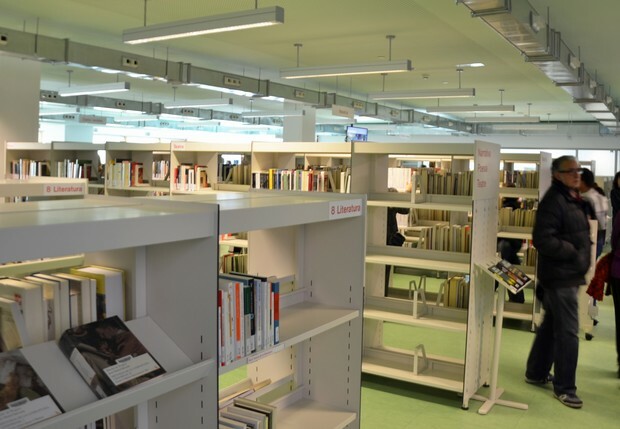 The libraries occupies 2 floors and 1723 m2 in total, and it has become the public library number 39 in the city, apart from being the second to house the innovative service of auto-borrowing. 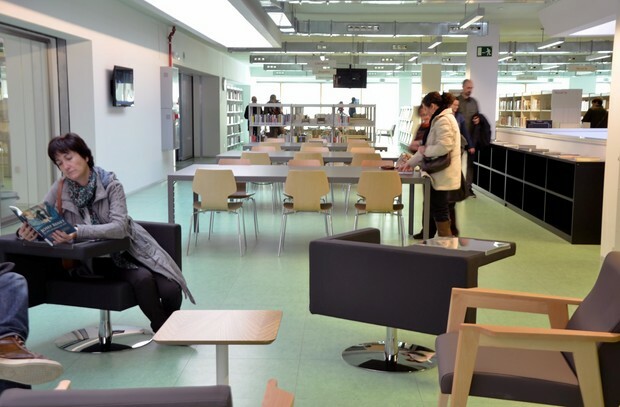 Mobles 114 has participated in the building equipment: some of the furniture of the company can be easily found inside: BBL shelving system for books and materials, Danesa armchairs at the reading areas, Gracia chairs and Pey tables at the studying areas, and furniture Mirac coat stands, side tables Oxi or Riga bins, are all over the space. 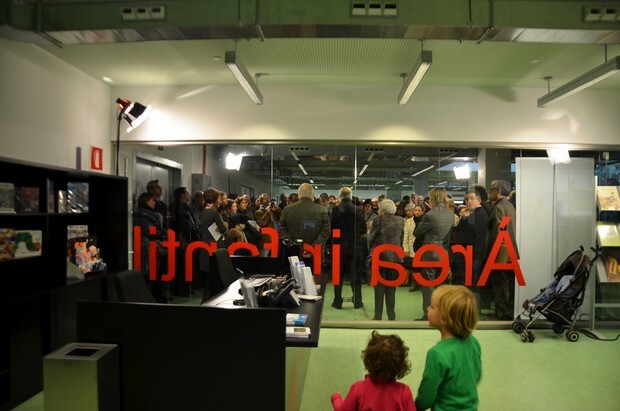 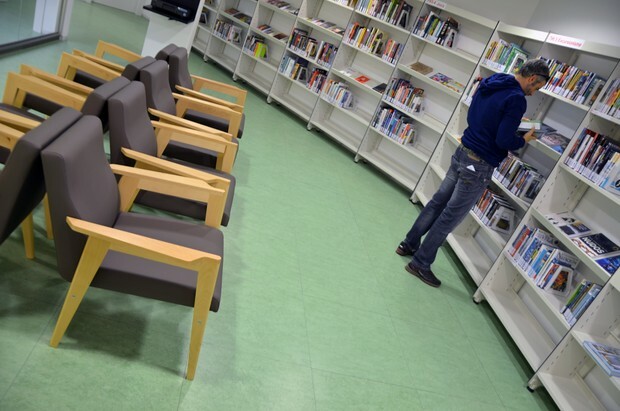 The inauguration of the new library took place last 23rd November.